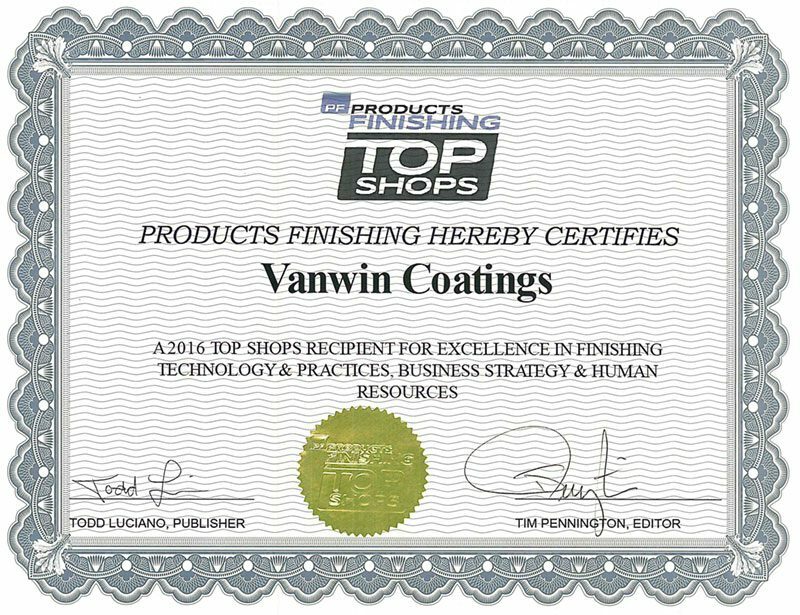 Vanwin Coatings was named one of the 2016 Liquid and Powder Coating Top Shops. 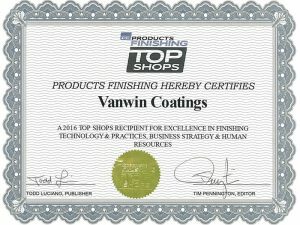 The Products Finishing Top Shops Benchmarking Survey for the liquid and powder coating segment yielded interesting statistics about how coating shops run their business, as well as some best practices that many others should emulate. The 40+ question survey conducted this spring gave job shop and captive coaters a chance to share their production information, with a promise of detailed data in return to help them fine-tune their operations to align themselves with the best in the finishing industry.